Rare sunny day in the garden so I thought I would take this time to post pics of my winter garden, Jan 25, 2019. Pictures were taken early in the morning sun. This time of year the shadows are still long but the days are getting longer and warmer. Thanks for looking at my winter garden on a rare sunny day, Have a good winter and hopefully an early spring! Tropicdoc, Sorry about that I have never tried putting photos with caption together so will have to do that next time. Let me know what photo numbers you are looking at, and what plants to ID. I will do my best, Thanks! That is probably one of the most beautiful trachys I've seen! especially interested in the large leaved trees/ bushes as a nice fill to a shady jungle scape. I think I know the ID of most of your palms. Like I said, I love the jungle look and I have a whole area under a live oak that I'm doing the jungle thing. Ill get some pics up maybe in the spring. Its pretty sparse right now. Looking great, I like all the chewbacca legs in the photo's. I really didn't like trachy's but they have recently garnered my interest over the past few months. Looks like you have several hybrids there. Care you expand on what you have growing? Thanks, AcutalTrachycarpus, that one was planted as one gallon in 1995.
photo 21 the smaller butia in the middle is Butia catarinensis. 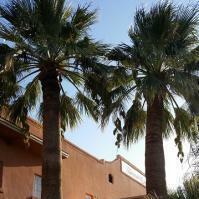 photo 23, Jubaea x Butia f2. photo 17 & 31 Chamaedorea radicalis. photo 44-45 Butia x Queen. All other feather palms are Butia odorata aka captital. Here are the names of the trees and shrubs in the photos. 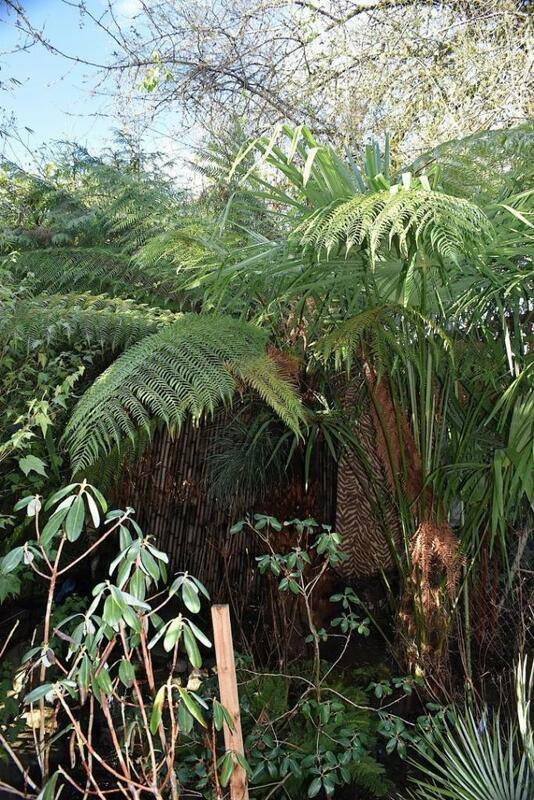 photo 13 Cycad taitungensis x guizhouensis. photo 28 Wheel tree, Trochodendron aralioides. photo 47 Wattle tree, Acacia pravissima, this one is coming out since it a volunteer and is to close to the house. Let me know if there's any others photo you need ID. When I put the colorful cordylines out in April and the dracaena, bromeliads, tender Aloes, tender Cacti out in May it makes the garden look very tropical and exotic. Nice, where are you located for reference? what is this fern in this photo? Dicksonia Antarctica ? Yes That is Dicksonia antarctica one of the most hardy tree ferns. It would do really good for you in Houston. Hardiness is 8b but for some reason it has survived my garden (because of it large size) in my Olympia, WA 8a garden. My tree fern has been in the ground since 2006. My coldest winters are 8a but in between those cold winters are mild ones of 8b-9a. 19F four years ago. since then its been 9a at 21f, 23f, this winter 24f. Also if you look up Olympia weather it not actually olympia but south of the city in a very cold spot. Lows can be 5f-10f warmer in town than the airport. Thank goodness! Thanks for sharing! Wonderful garden. Something to work towards for me! How do you like the Trochodendron aralioides? I've had my eye on them for the last year and a half. Almost pulled the trigger on one yesterday. Did it grow fast and how big is yours? It is a great B.L.E. tree and has glossy green leaves and the flowers are not special but nice. It's not super fast growing but not slow either. Very easy to grow with some afternoon shade during the hottest sun is good. MIne is around 15' tall and 20' wide. I have trachys growing through the top to give it shade. LOL! If you got space got for it. Here is the only picture I have... hardy bromeliad in the blue pot. Nice pictures, I love how green your garden is year-round. How long has that Butia-Queen hybrid been in the ground there? Planted in the ground in 2009 as a three-year-old seedling. Its had to put up with a few 15F winters and two spear pulls. A 100-year-old English holly tree grows above it to give overhead protection and it does receive some winter sun, so it's in a good microclimate. So around 10 years in the ground. Love all the photos! I live in Seattle and am just starting my garden, so I really appreciate seeing what is working for you in Olympia. Do you any favorite sources for palms and tropical looking plants in the PNW? I make pilgrimages to Cistus, so long drives are not a limitation. My dream is to rent a van in southern California and just drive north to Seattle, stopping at all the wonderful gardens and nurseries along the way! Thanks, And welcome to Palm Talk. 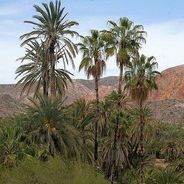 If you do a search of palm tree nursery you will find a few in your area, I've never been to any of those but they have palm tree galore. Check out Jungle Fever in Tacoma, Bark n Garden in West Olympia, Rhododendron Species spring plant sell for exotics they have lots of cool vendors at that sell rare plants. There are also lots of spring plant sells around Seattle that have great stuff too. Palms Northwest in Auburn. In my area, the big box stores have smaller palms for sale mostly Mediterranean fan palm, trachycarpus fortunei and butia. So check in your area too. I've done some nursery runs to California in the past and its lots of fun. Northern and Central Cali have the best plants and palms for WA. The more south you go the more exotic the plants are and tender. Jungle Music is a good place to shop for palms if you go to Southern Cali. Here is my video of my winter garden for y'all to check out. I don't do gardening in winter and also the middle of summer so its a little messy right now. But come spring things look totally different. This first one is the east side of the house which is narrow and the heated shed. This video is the west side of the house and the backyard and the unheated greenhouse.